If you need to automatically pay your invoices with your credit or debit card or your available funds on the profile, you can enable it by following these steps. 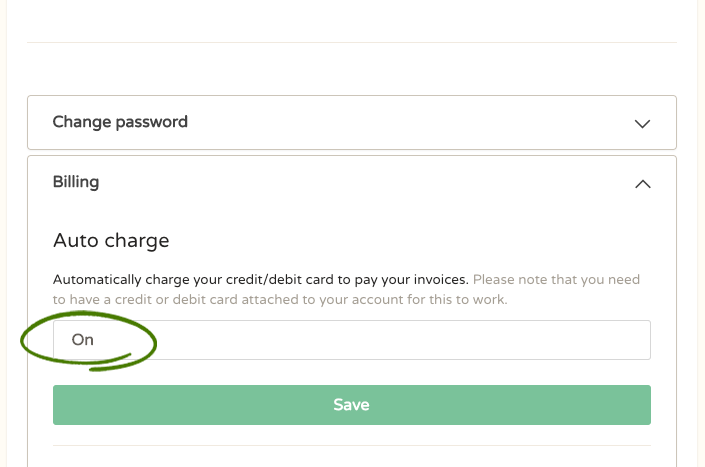 After enabling auto charge, all future invoices will be charged using your available funds. If you have linked your card to your account, we will try to charge your card automatically.